Flashback a few weeks ago: Our first overnight guest was coming in a week—yay! oh no!—and we had a lot of work to do. 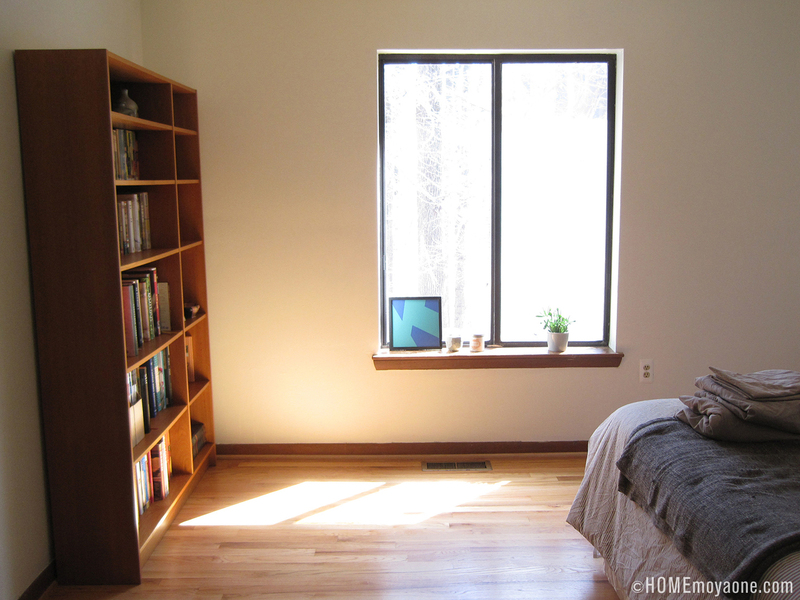 It was just what we needed to really put our unpacking and cleaning efforts into high gear. Of utmost importance was setting up the guest suite. 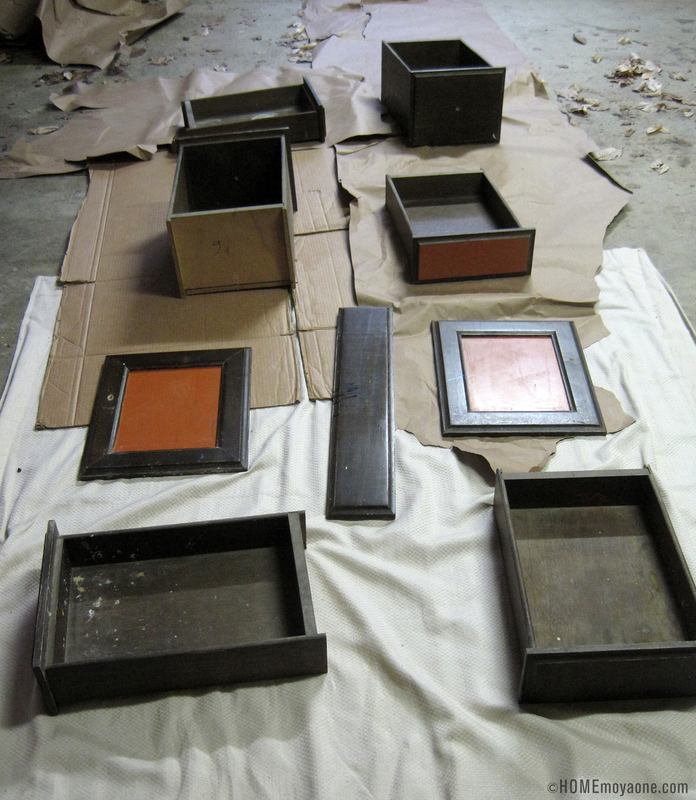 —where they were cleaned and sanded and made ready for their first primer/sealant coat. Everything was going well until we started to spray them. 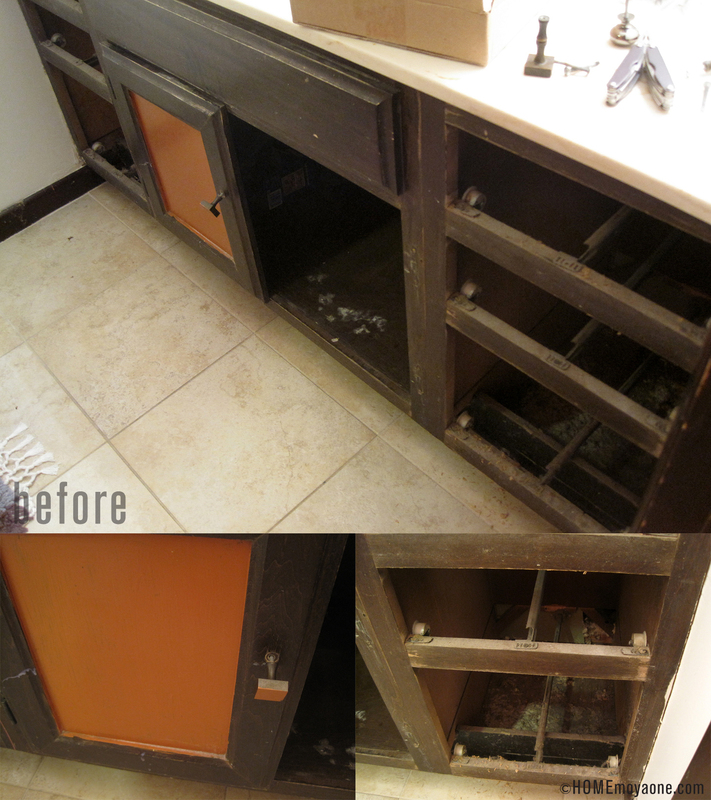 We chose to use Kilz Odorless Interior Oil Based Sealer Primer and Stainblock, because it sounded like exactly what we needed (like the kitchen cabinets, these drawers had an odor to them, and we also needed a paint that could cover up the previous paint job). We should have read the Amazon reviews first because it was terrible! The paint just oozed out of the nozzle and every shake of the can sent paint spatters flying all of the place. ARGH!! It was making such an incredible mess that we immediately stopped, drove back to Home Depot, and returned every can we had bought (even the partially-used ones). For our second attempt we used Zinsser Bulls Eye 1-2-3 Primer and had much better results. After everything was fully covered with the primer we gave the fronts a couple of coats with high gloss white latex paint. 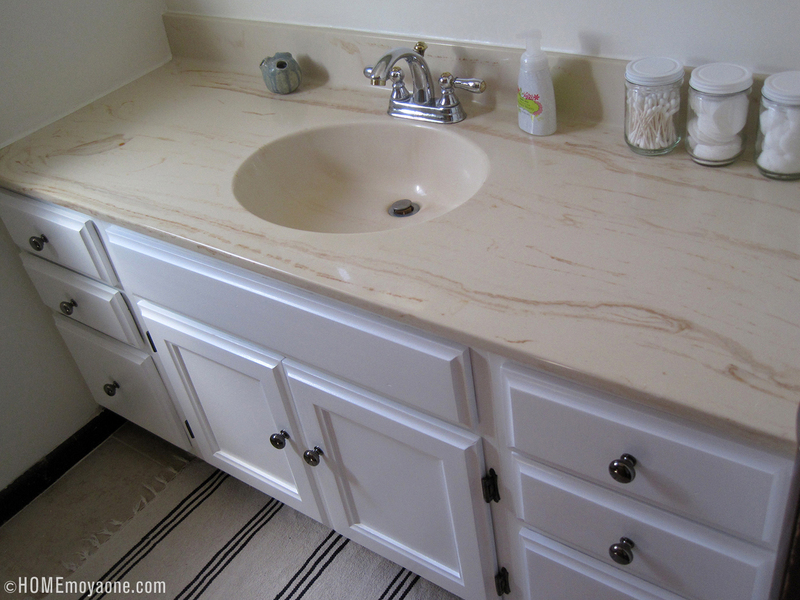 New knobs (found for super-cheap at a ReStore) were put on—and now the vanity looks so much better. 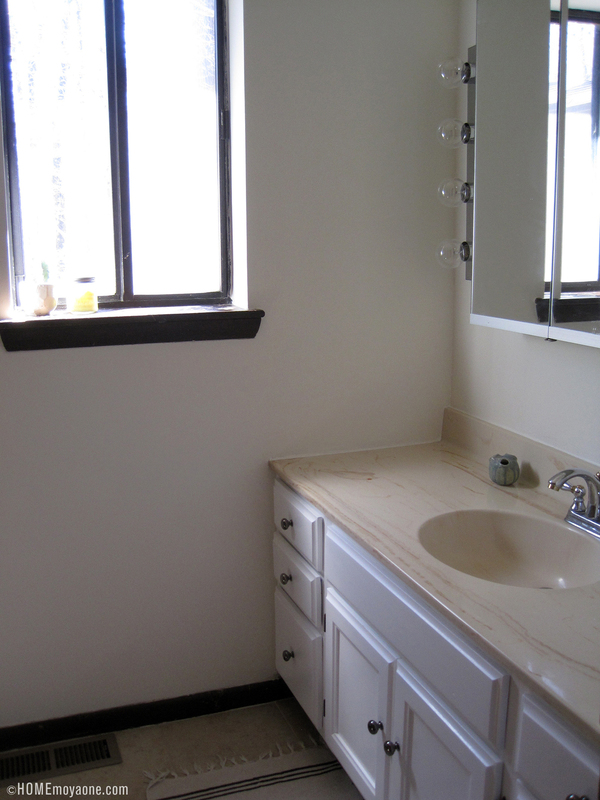 The vanity top and the floor and the shower tiles are still ugly as sin but for now we’re calling this presentable!